Paul elaborates the growth at the end of the 19th century/start of the 20th century of the huge corporations and cartels across the globe, and their desire to effectively banish the free market. In effect, the leaders of the big productive-capitals had become social-democrats. Company welfare schemes had already started in the US, towards the end of the 19th century, but the best example was that of Ford, in the 20th century. It went along with a drive for standardisation in all areas of the economy, to facilitate production on an even more massive scale, and it went along with the creation of central banks, like the Federal Reserve, to control money supply, with the goal of preventing falls in the nominal price level, and generating the modest annual inflation that Fordism needed so as to disguise the falls in nominal wages behind the reality of rising real wages. These were the kinds of development that Liberals like Mises and Hayek despised. It is what leads their followers today to describe the US as socialist. And, as Paul describes, the growth during this long wave uptrend was exceptional. The US, as Kondratiev described, was somewhat out of synch with Europe, by about 10 years. So, where Europe saw the uptrend finish between 1914-20, and went into a crisis period that ran until around 1933, the US, in the 1920's, experienced The Roaring Twenties. On the back of the new mass production, it continued to export around the globe, sucking in gold and forcing the US to inflate its money supply, which pushed down interest rates, and led to a flood of speculation in its financial markets that burst in dramatic fashion with the 1929 Wall Street Crash. Its also important to point out a distinction here. Marx's most important law for capital, the tendency for the rate of profit to fall, where the organic composition of capital rises, remains the most important law in terms of how capital is allocated. Where the organic composition is lower than the average, and/or the rate of turnover is higher than the average, the annual rate of profit is higher than average, and this encourages additional capital into those areas. It may be that existing firms reinvest their profits, that other firms enter that market, or that money-capital is raised by bank loans or the issue of bonds or shares. But, the driving force for this additional capital to be invested in these spheres, rather than elsewhere remains the fact that they produce a higher annual rate of profit. Now, given that, as a result of the mammoth scale of these capitals, this reallocation of actual capital does not happen overnight, the consequence is that the shares of Company A, which produces 10% profit, will tend to rise relative to the shares of Company B, which produces only 5% profit. The reason is that if both companies pay out the same proportion of profits as dividends, say 10%, then Company A will pay twice as much in dividends as Company B. The yield on A shares might be 5%, whereas on B shares only 2.5%. In the stock market, therefore, shareholders will sell B shares, and buy A shares. The price of B shares will fall, and A shares rise until such time as the dividend yield on both is equated at around 3.75%. But, none of this flow of speculative money out of B shares and into A shares has anything to do with a reallocation of actual capital. It involves merely a speculation on the prices of fictitious capital. No matter how much money flows out of B shares and into A shares, as a result of this process, not one penny of real productive-capital is moved from B to A, not one single Whitworth nut or bolt is added to A's productive-capital, as a consequence of it. 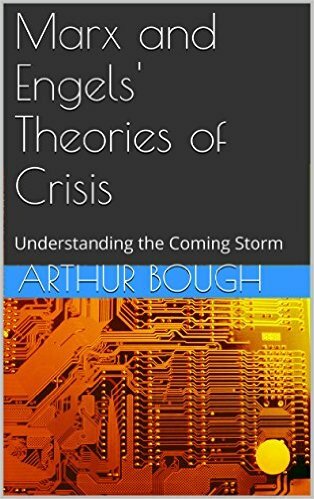 And, it is precisely because all of the big private capitalists withdraw from their social function in production, and become simply money-lending capitalists, prepared to live off their interest on bonds and shares, rather than take on the risk of actual productive activity, so as to obtain profits, that this situation arises. 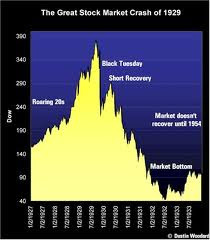 Now, in search of the highest yield on their money-capital, rather than the highest rate of profit on their productive-capital, they buy and sell bonds, shares property and other financial assets. It is only in engaging in this function themselves, as financial speculators and gamblers, that the banks and financial institutions, through their investment banking arms, stand in relation to the private money-lending capitalists. It has nothing to do with the allocation of real productive-capital. Only in so far as the private money-lending capitalists, along with the banks, buy newly issued shares and bonds for the purpose of funding real capital accumulation, is that the case, but that represents a small fraction of the total volume of activity on the stock and bond markets. Understanding this vital difference is crucial to understanding what led up to 2008, and what has happened after it. Paul is right to argue that the perspective put forward by Hilferding and embodied in the ideas of Fabian reformists and Leninist revolutionaries alike, of state capitalism as a stage towards socialism, which only requires a top down control by the state, is a dead end. But, it's wrong to say that the view that capitalism itself only persists because of the role of the state died after 1989. It remains a fact that capitalism cannot exist without a large interventionist state regulating the economy by the use of automatic stabilisers, and more active use of monetary and fiscal levers, as well as assisting capital via scientific and technological development through the Universities – not to mention its role in socialising the working-class via the education system – and regulating the supply of labour-power via the welfare state. Even in the most neoliberal of neoliberal regimes, in the US, the state accounts for around 50% of all economic activity. Paul is also right to highlight the debilitating effect of the Left's need for catastrophism as a route to Socialism. I have a theory to explain that. It is that a lot of the intellectuals who drive the ideas of the Left are, by their nature petty-bourgeois. That most petty bourgeois of all, the peasant, was renowned for seeing revolution in terms of violent acts – often individualist terrorist acts of violence - such as burning down the landlord's barns, house and so on, but with little vision of what positive to put in its place. For the petty bourgeois intellectual, especially for the young students that the revolutionary sects are dependent upon, and which today they are almost entirely composed of, it is the romantic idea of political revolution that attracts them. And as Simon Clarke puts it, this mentality is necessarily elitist, and managerialist. By contrast, the worker, be it the industrial worker, commercial worker, or clerical worker is used to a daily routine, and boring incrementalism. Each day, they do more or less the same tasks as the day before, bit by bit, shaping the material in front of them. And these workers, it turns out, actually do feel they have more to lose than their chains, in throwing themselves into rash, ill conceived adventures.